The next collaborative effort between Chef Stephan Paroche and his guest, starred chef Vincent Lucas, will be a spontaneous cooking party. 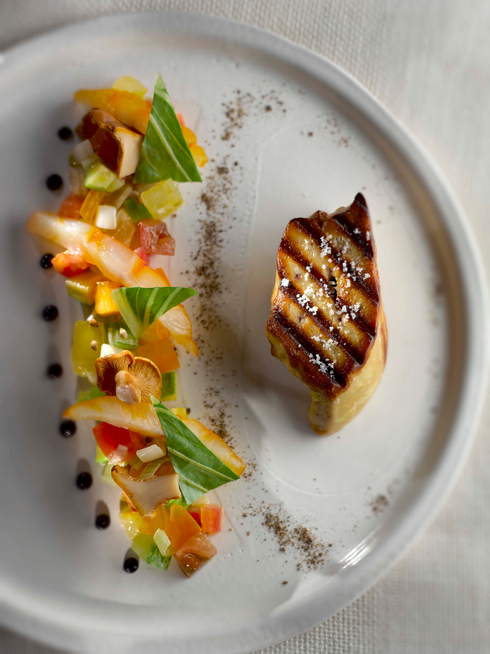 Make sure to book a table at Cicada on September 29 to experience a one of a kind cuisine. 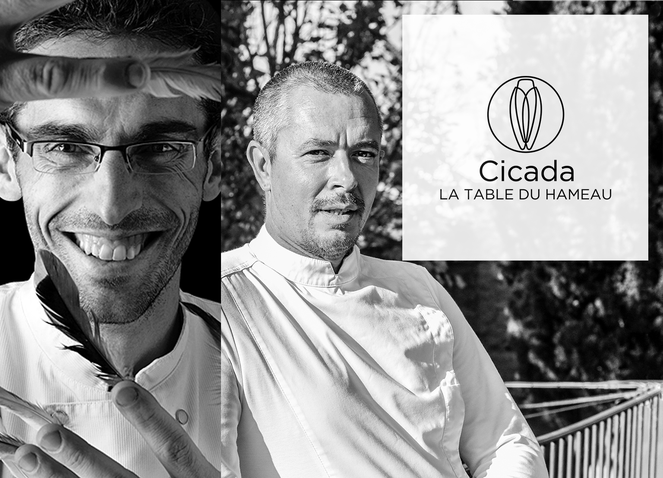 Welcoming high profile chefs as guest-stars is now an essential ritual at Cicada, Table du Hameau restaurant. This time Chef Paroche welcomes a longtime friend and a notorious gastronomy free spirit, Vincent Lucas, one star chef of Perigord restaurant Etincelles (in English : Sparks). They have opted for a spur of the moment menu, according to the daily foodmarket finds, in a very fun loving fashion. They will improvise as jazzmen would, but over seasonal products, as summer vanishes and autumn products begin. This “Carte Blanche” concept was Chef Paroche’s idea, in order to make sure his friend’s personality would express fully. To experience a culinary adventure, rendez-vous at Cicada, September 29. Born in Nice and relocated in Perigord, his wife’s homeland, Chef Lucas is a free spirit who has always fought for his freedom and forged his career on his own terms. A focused and driven individual, he got his first star within the 5 years limit he had decided and cooks alone, in order to be completely self reliant. “I’m a one-man guy. I cook every evening for a maximum of 20 people, while my wife Anne attends guests in the dining room by herself as well. I do show up and meet our customers, but always with my cooking on my mind. I’m very organized and I have a recipe encyclopedia in my head” Hyperactive, always in a good mood and full of energy, his cuisine sparks brilliantly. By Stephan Paroche, from octobre 6th. Autumn promises to be festive and greedy with the new menu prepared by Stephan Paroche, always in symbiosis with the terroir and its producers. "I remain faithful to my bias land-sea, noble products associated with those called" peasants "type langoustines and lentils; between the Mediterranean and the ocean, with langoustines, the spider crab, the scorpionfish "capon". Of course I give pride to vegetables, butternut, artichokes, salsify, watercress, leeks, shallots ... these are products that you want to enjoy as soon as it starts to get cold. 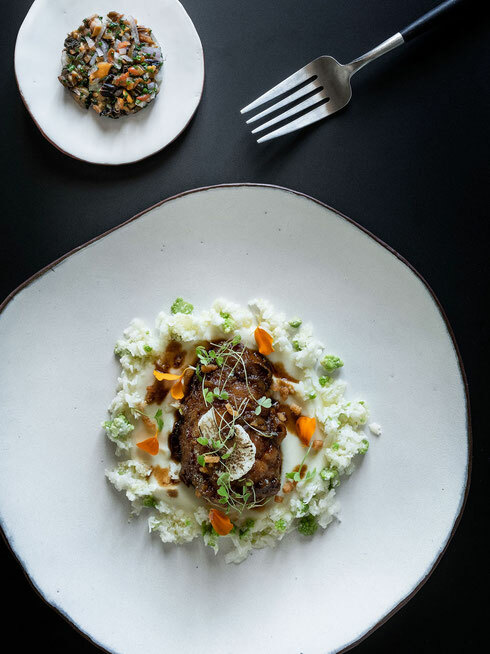 On the land side, the chef highlights an exceptional beef farmer from Maussane, as well as hunting products, such as the partridge, served with a sea urchin sauce. A chef's signature surf and turf, as well as the aptly named dessert "Autumn", a Cicada classic, which concludes the meal on warm, caffeinated notes.